This set includes five engaging science experiments and challenges for Christmas. Each thematic activity guides students through a fun, hands-on science exploration with very little prep-work. Students work their way through the scientific method using the step-by-step science journals. Each experiment includes a follow-up activity for added learning. 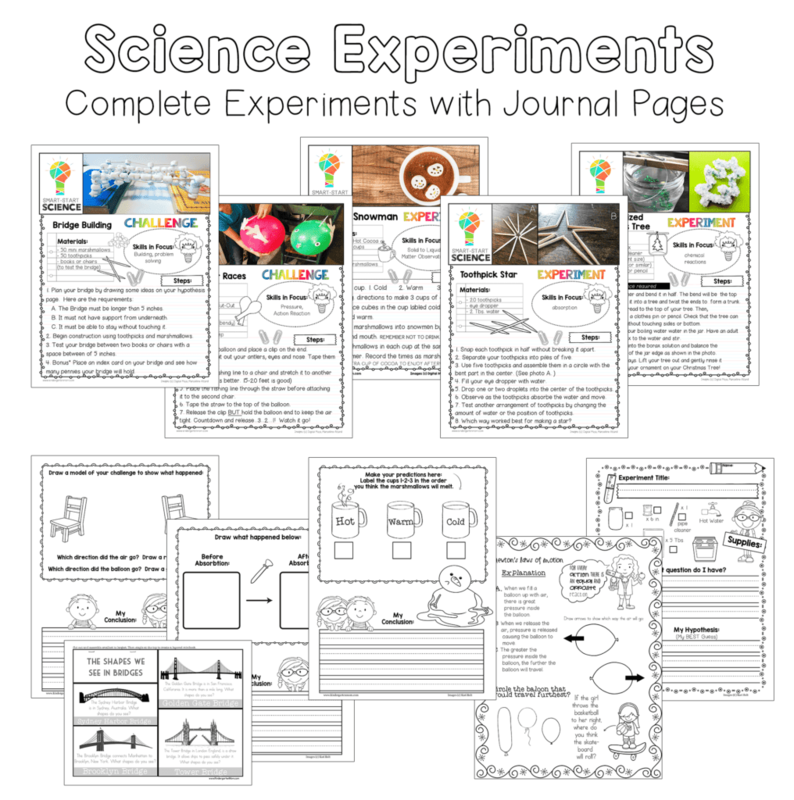 The experiments and challenges included are: -Crystalized Christmas Tree -Marshmallow Bridges -Reindeer Races -Moving Christmas Star -Melting Snowman You will also find scientific method posters (color and bw) included with this pack to help your students through research and discovery. These are great ideas for those "wild" days before Christmas break. My second graders LOVE doing science projects so they will love doing these activities. Thanks!